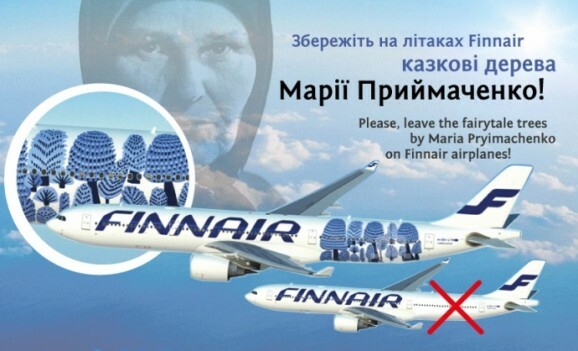 Ukrainian Facebook users would like a picture by Maria Priymachenko that has been used by the Finnish company “Marimekko” since 2007 on their behalf, to remain on the airplanes of the Finnish carrier Finnair. 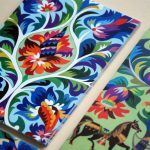 This is confirmed by an inquiry conducted in the Facebook on the official web page of Rukotvory project dedicated to folk art. Vast majority of votes was given to an option in which people insist it that would be good to only mention the name of the author, a Ukrainian folk artist, together with the picture of a fairy forest. According to the information as per the morning, June 1st, the initiative is supported by more than five hundred people. Certainly, Ukrainian public does not represent the claimant part and does not participate in negotiations in part of Finnish designer Kristina Isola’s (who is the Finnish designer) responsibility for plagiarism. 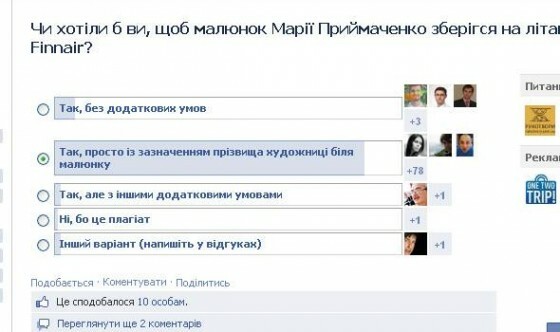 That is why Ukrainian people cannot legally demand preserving of the picture. 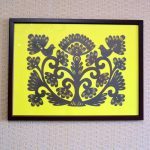 But it should be mentioned that pictures by Mariya Priymachenko are a global phenomenon in the world culture; they are one of manifestations of the Ukrainian culture. That is why Ukrainians can have an unwritten moral right to ask for preserving of these pictures, especially since they inspire a great number of people. 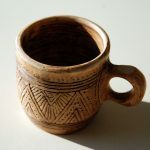 We would like to note that spreading Ukrainian culture in different ways is a positive phenomenon. And this topic becoming public let possibly open eyes of a great number of people in the whole world irrespectively of nationalities to Mariya Priymachenko’s art; this event also showed Ukrainians that their folk art can be competitive, modern, urgent and exciting.